ITS A FOODIE POST. My favourite types ever cos y’all know I love me some food! As you will probably be aware – next weekend it is Easter weekend and this time next week it is will be Good Friday. 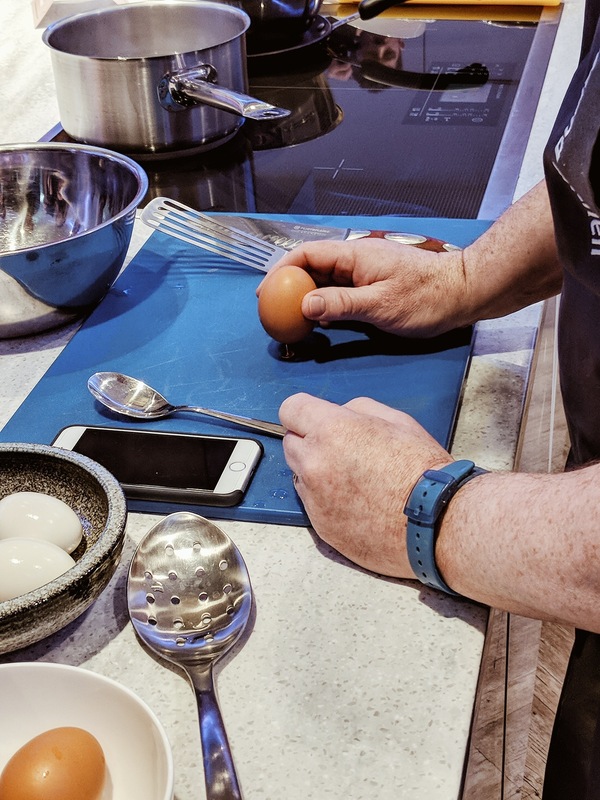 I am off to Suffolk with all my family as tradition, and so this weekend we are cooking an Easter feast at home to celebrate… plus I have been living off hot cross buns for 2 weeks now. I LOVE EASTER. It is an excuse for chocolates, hot cross buns, chocolate and easter egg hunts and chocolates. 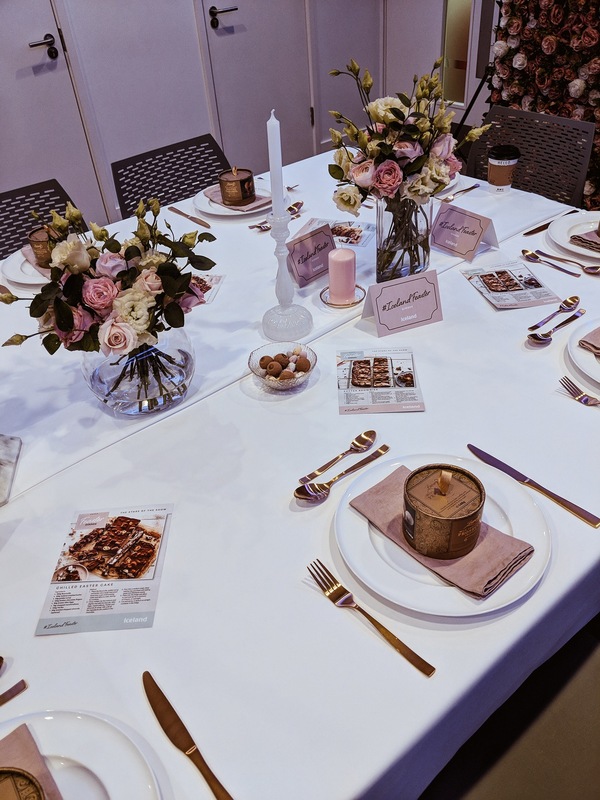 So I was super excited for my easter to start early when an exciting invite popped into my inbox for an Iceland Feaster dinner – YAS LOTS OF FOOD FOR ME. 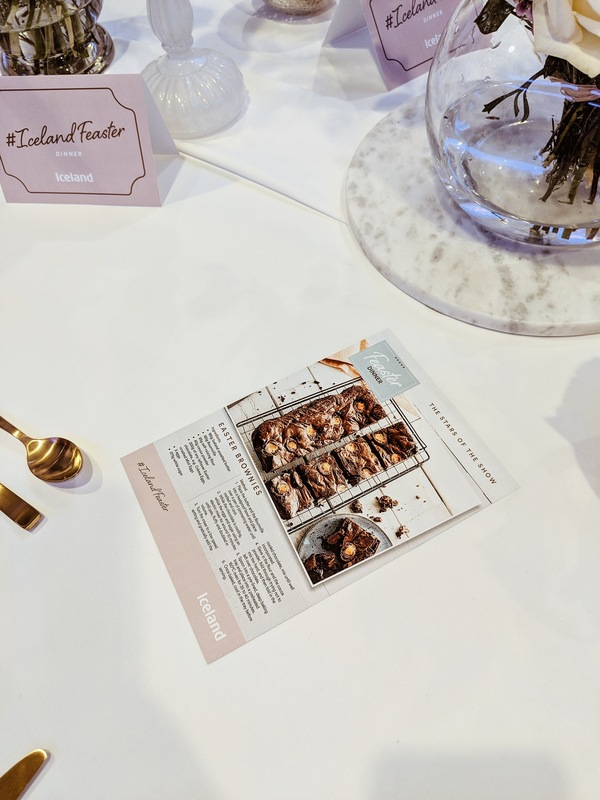 If you have been a long term reader of my blog you will know that I love working with Iceland and LOVE LOVE LOVE their products. 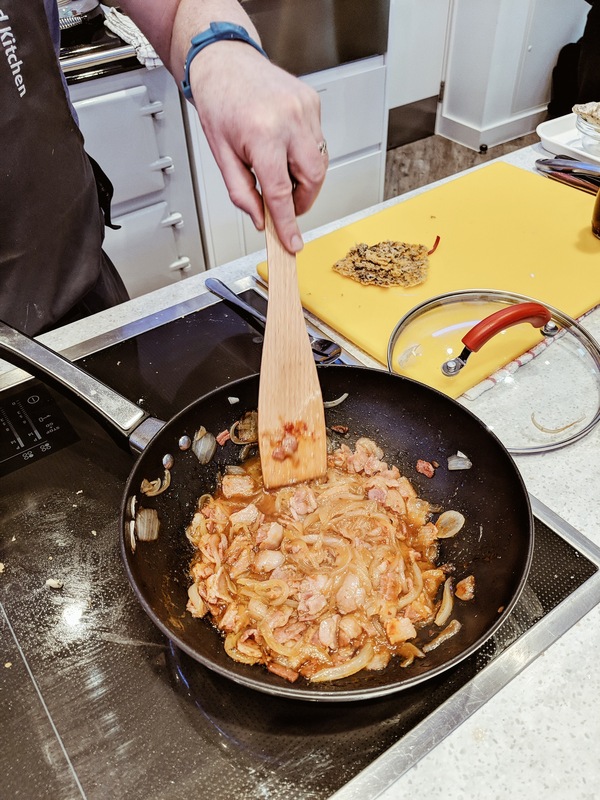 I went to a cookery day with them before where we learnt so many different way so cook fish (READ HERE) and also I hosted a mini Christmas dinner party with all Iceland food (READ HERE) and I am forever impressed with the quality and deliciousness of their food – so I was READY to try everything they had to offer for Easter. 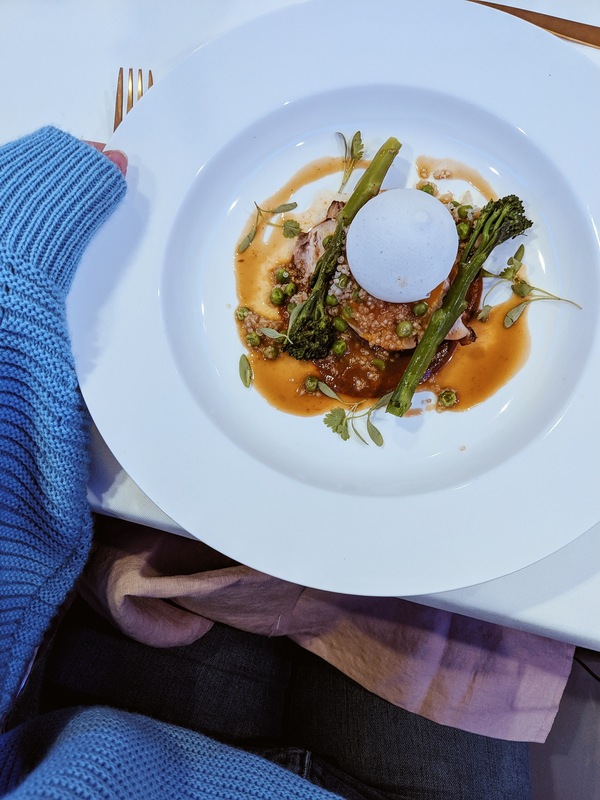 I would highly recommend reading the first part of my School of Fish blog post to find out about the #PowerofFrozen and how my opinions on Iceland did a total 180 after my first event with them – before I was all like ‘Iceland – what? Kerry Katona vibes – no thank you’. And now I am SO PRO FROZEN FOOD AND ICELAND IS MY GO TO – seriously honestly go read. ANYWAY – back to easter feasting. 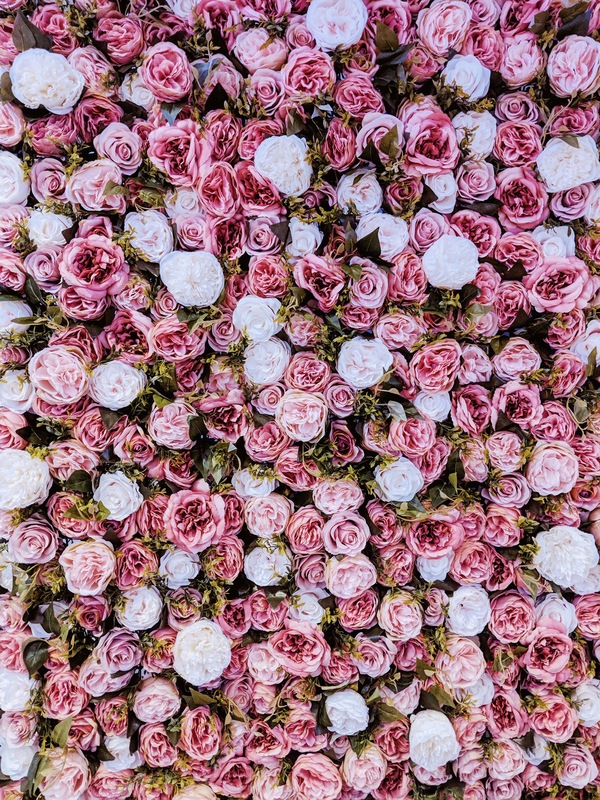 I arrived at around 11ish where we were greeted with some bubbles, a flower wall, balloons and PINK EVERYWHERE. So naturally – I felt super at home. Had lovely catch up with all the Iceland gang (I love seeing the same faces at these events!). Then it was time to get down to the cooking. The chef of the day was the same guy from last time, Neil, who I bloomin’ love. His food is incredible. I want him to come and cook for me every day. All day. Or just if he could call me every evening to tell me what and how to cook for dinner that would be great. 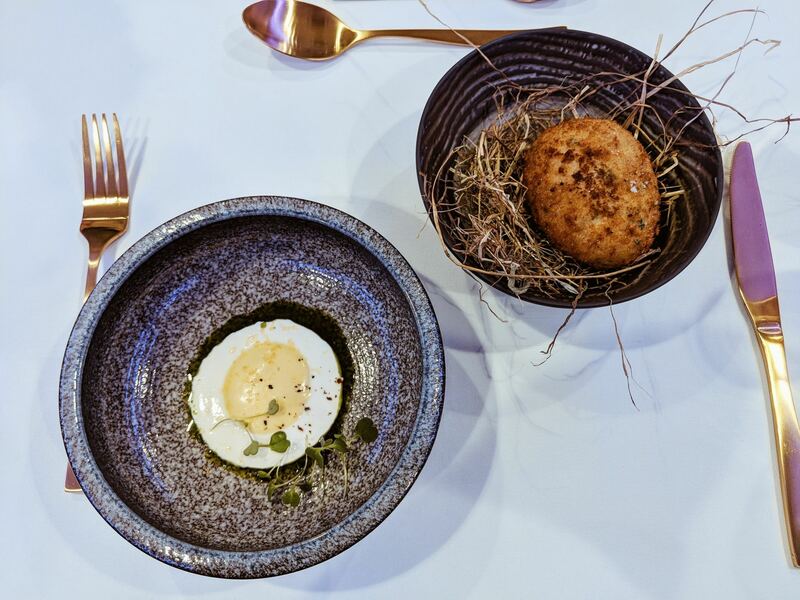 First up – we learnt how to boil an egg to the most perfect runny yolky gooey standard to go inside the dreamiest of fishcakes. 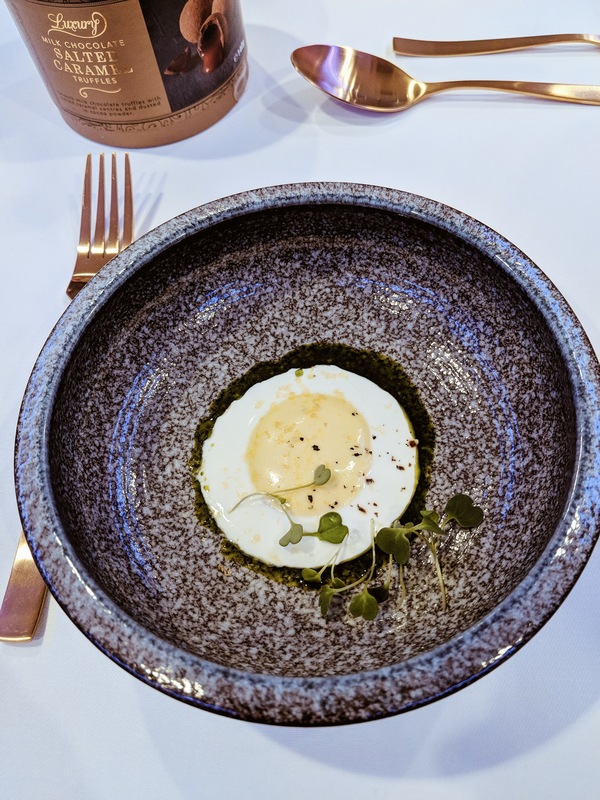 Oh my god guys – the food – I can’t explain how good it was… (btw – if you prick the egg with a drawing pin – and boil for 6mins 10 seconds you have the perfect egg). 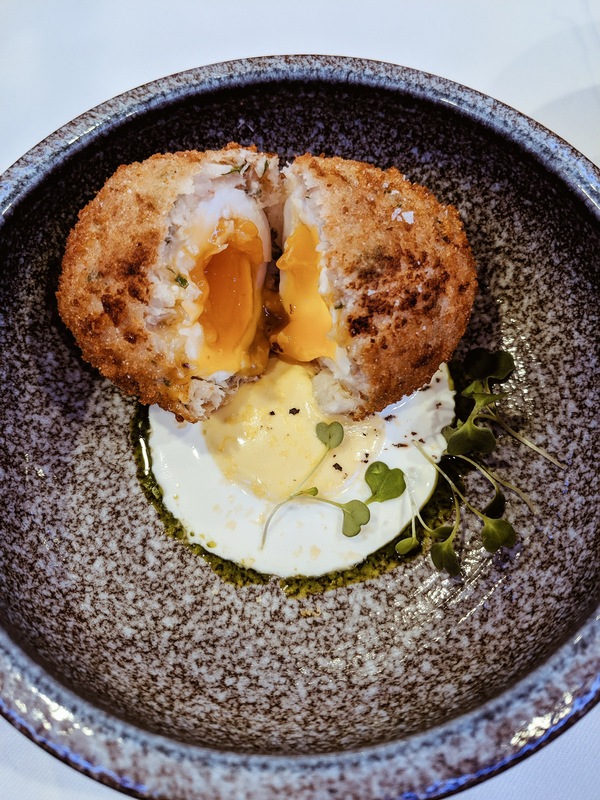 So the fishcake ingredience goes around the egg and then breadcrumbed and fried etc etc and served with a gorgeous sauce of sour cream and mustard mayo – WHICH LOOKS LIKE AN EGG OH MY GAWD. Anyway – this was amazing. 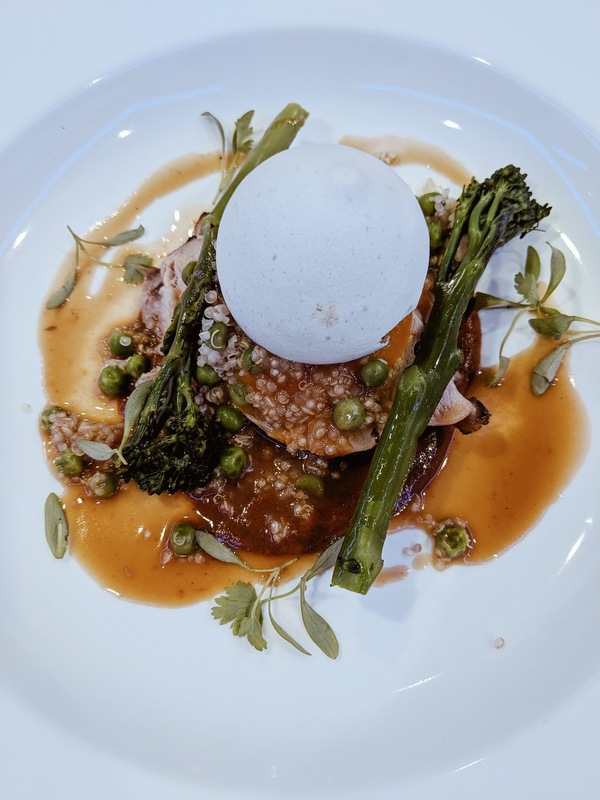 Up next we had turkey crown on a mole sauce with, quinoa, vegetables and a edible eggshell!! Normally people have lamb on Easter Sunday – so doing a turkey – the food of Christmas day – might be a change for some people. But its SUPER healthy and this bad boy is a 100% British Crown (av. 1.9kg) and it is only £10. I mean. YAS. This was such a gorgeous way of having turkey – I have never tried a mole sauce before (NOT the animal). 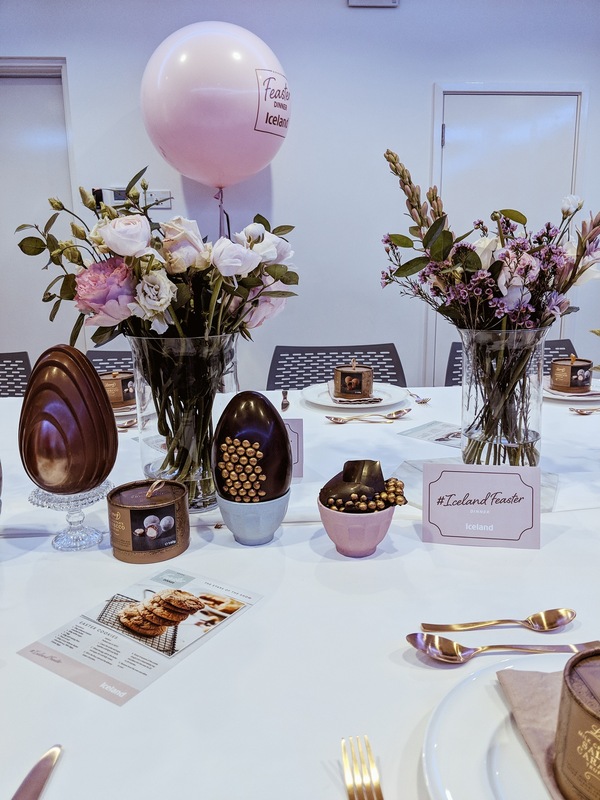 Originally a Mexican cuisine – I believe it has rich chocolate in it (as well as vegetables etc) so you know – chocolate for easter – GET IT ON THE PLATE. Such a unique and alternative dish to serve to all the family! Now – onto my absolutely favourite part of the day. Hot cross buns. These blew my mind. BLEW MY MIND. I love hot cross buns and normally I have them toasted with a LOAD of butter on them with a cup of tea. 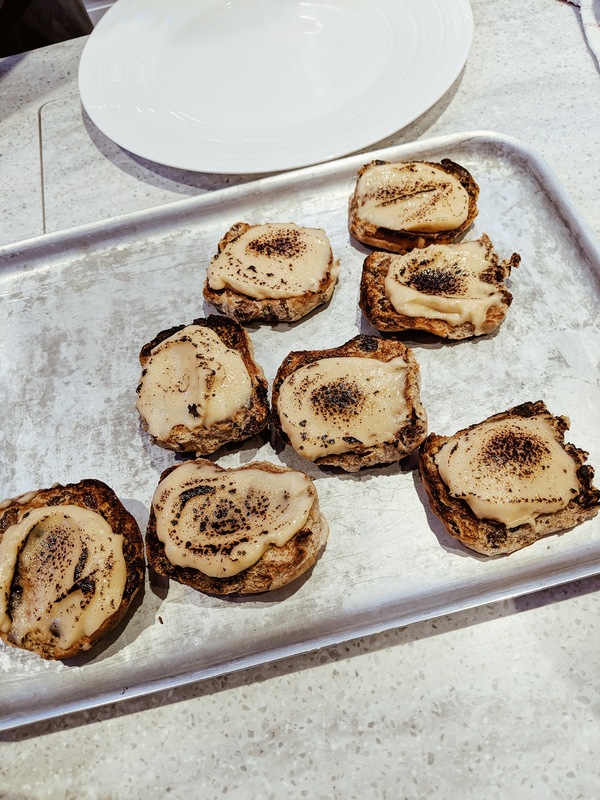 However – we made WELSH RARE BIT HOT CROSS BUNS. I say we. I didn’t make them. I just drooled whilst they were being made. These were the best things I have ever eaten ever. Cheese and the dried fruit and the bun oh my god. We also made some bacon jam (again – wow) (and again – not we – Neil) and some stilton crisp. 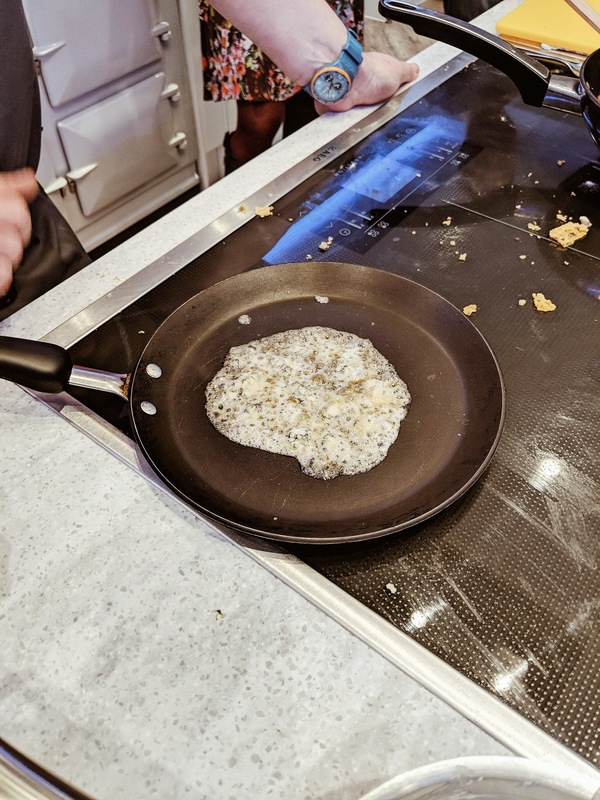 This is basically where you fry bits of stilton in a pan until it goes all gooey and gross (like below) and then let it cool. 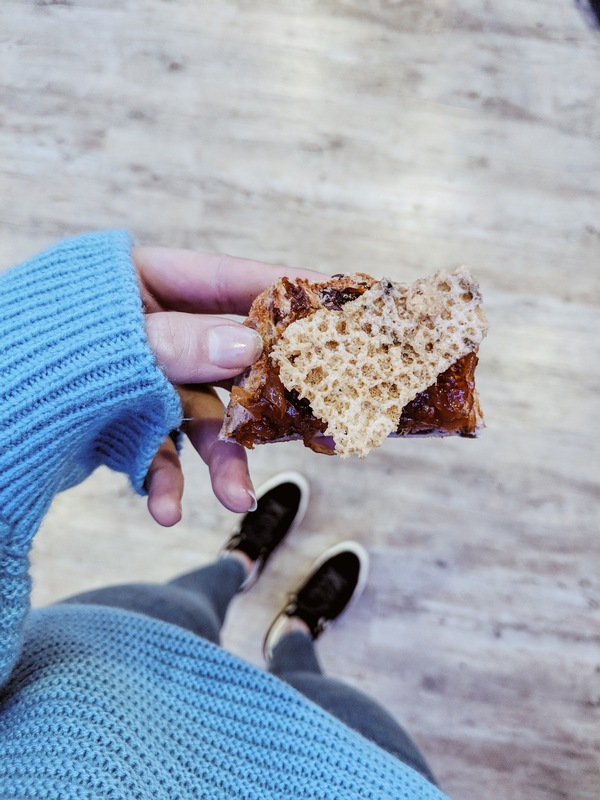 You get your hot cross bun – cover it in the amazing bacon jam and pop on a bit of crispy stilton and voila. Heaven. Seriously changed how I will eat hot cross buns forever. Last but not least – by any means. It was time for dessert. 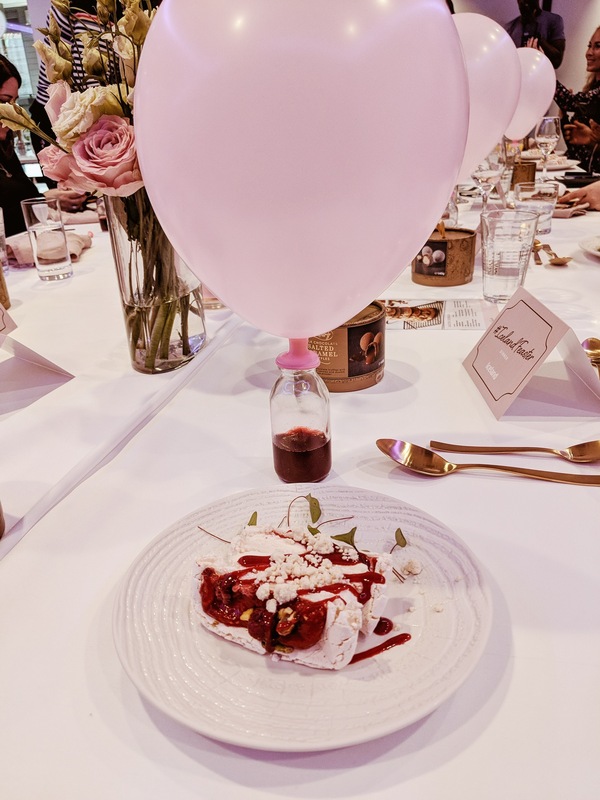 Anything served with a balloon is a-okay by me. This was actually super fun. For dessert we had pavlova. 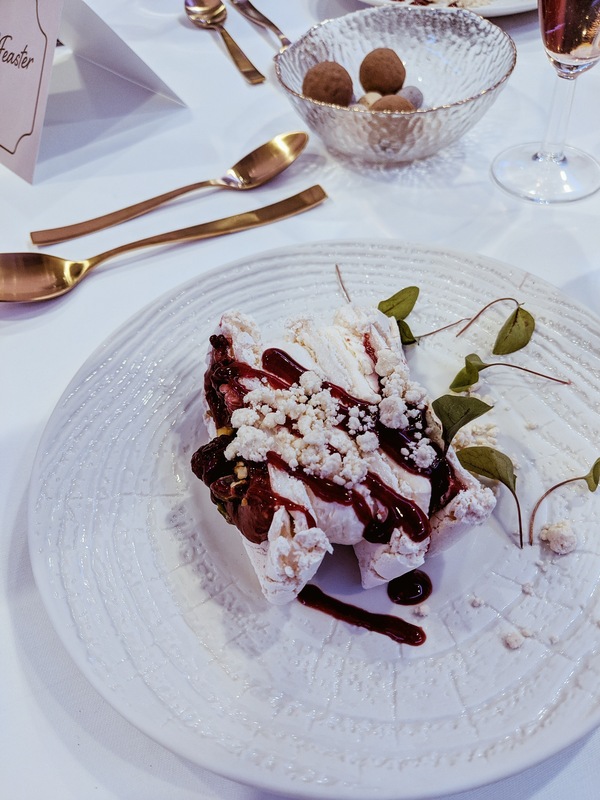 Well it was Iceland’s Luxury Raspberry and Pistachio layered Pavlova. 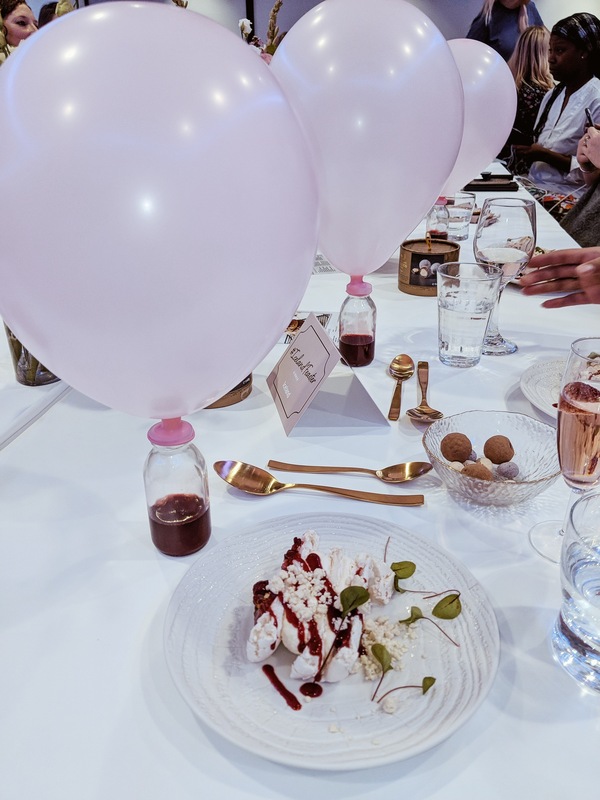 It was served with a balloon filled with helium, a jar of sauce and a chocolate egg with joke in it. We had to break the chocolate egg, drink the helium and then read out the joke that was inside our egg in our squeaky voice. Then you could release the sauce and pour it over the pavlova and ENJOY. 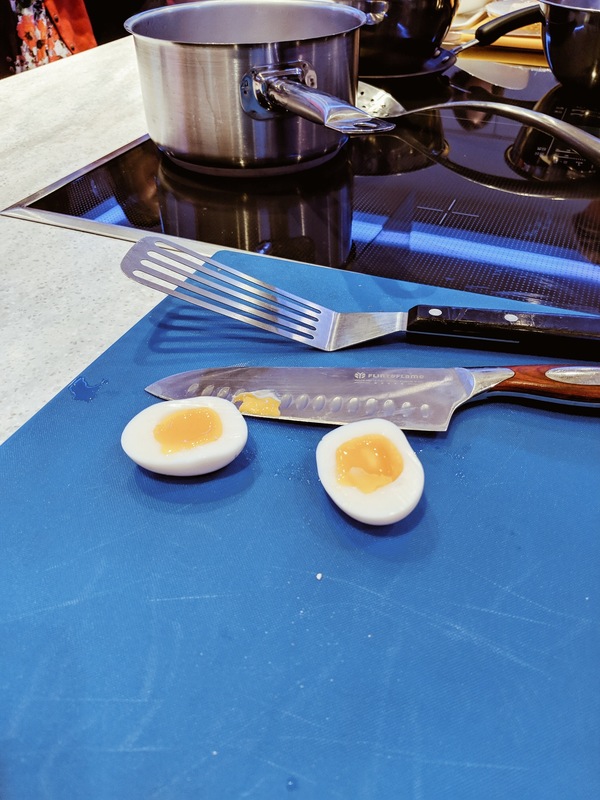 THANK YOU SO MUCH FOR READING and I hope you had some inspo for your Easter sunday cooking! Or what Easter traditions do you all have? I would love to hear about them below! 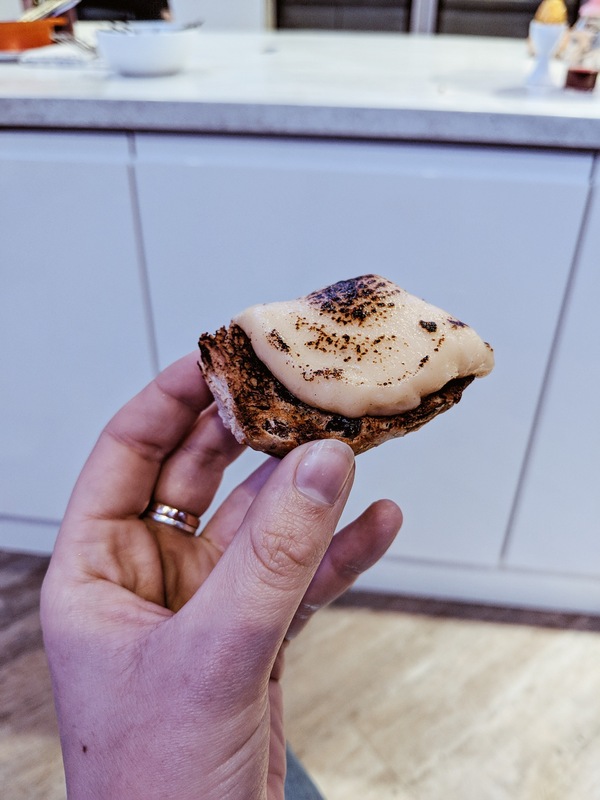 This post is written in collaboration with Iceland Foods – but all excitement over food and cheesy buns is my own. Next Post What would you like to read?